Three teenage schoolgirls jailed in Burundi for scribbling on a picture of President Pierre Nkurunziza in textbooks have been released on bail, their lawyer said Wednesday. The arrest of the girls, aged 15, 16 and 17, who had faced up to five years in prison for insulting the head of state, sparked an international outcry. "The three schoolgirls have been granted bail," their lawyer, Prosper Nyanzira, told AFP. "They have just left the juvenile prison where they were detained and were handed over to their parents." The trio has been in custody since March 12. 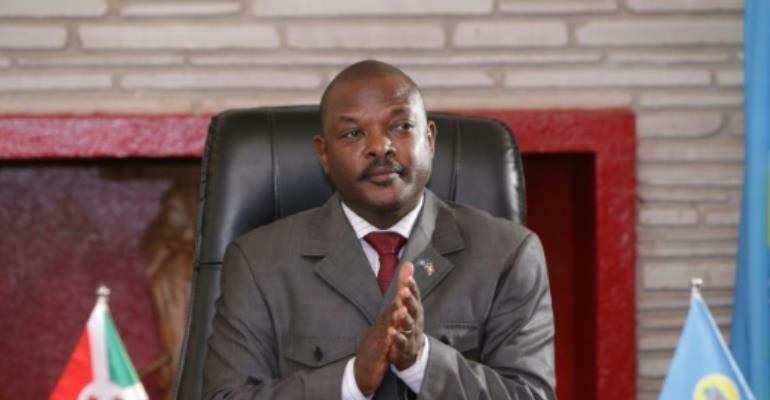 The girls had been accused of defacing photographs of Nkurunziza in five textbooks belonging to their school. Since their arrest, activists have been sharing images of Nkurunziza covered in doodles, including drawings making the president look like a woman and a clown.